Behind every leading brand is a team of dedicated, innovative thinkers. Such is the case for REVOLT TV, a new multi-genre music cable network, created by rapper/producer-turned media-mogul Sean “Diddy” Combs and managed by CEO Keith Clinkscales. Combs combined his love of music with his extensive relationships in the music industry to create a network in a space he’s been quoted as saying was abandoned by other music channels. Combs branded REVOLT TV to be: “Powered by Music, Driven by Culture & Fueled by You!” The channel, social by design, is a multi-genre, multi-platform outlet committed to engaging tech-savvy youth in social conversation through breaking music news, videos, artist interviews, exclusive performances and original programming. In an effort to carry out the channel’s mission to move at the speed of social media, Combs handpicked what he dubbed as an executive’s dream team that includes Clinkscales as CEO; Andy Schuon, formerly of MTV, as president and co-founder; and Val Boreland, who previously worked on promotion and multi-platform strategy for Comedy Central, as executive vice president of programming and strategy. “My relationship with REVOLT goes back to my earliest days at Vibe magazine when I first covered Sean as artist in ’93, and now, years later, we’re working on the same side of the agenda,” Clinkscales explains. With an MBA from Harvard Business School, Clinkscales has spent the past 20 years in the media industry building a solid reputation as a strategist who is an expert on the intersection between lifestyle and culture. Clinkscales founded and led lifestyle magazines such as Vibe, Honey, Heart & Soul, and Savoy. His senior posts include eight years as a senior vice president at ESPN and four years as the chairman and CEO of Vangaurde Media. 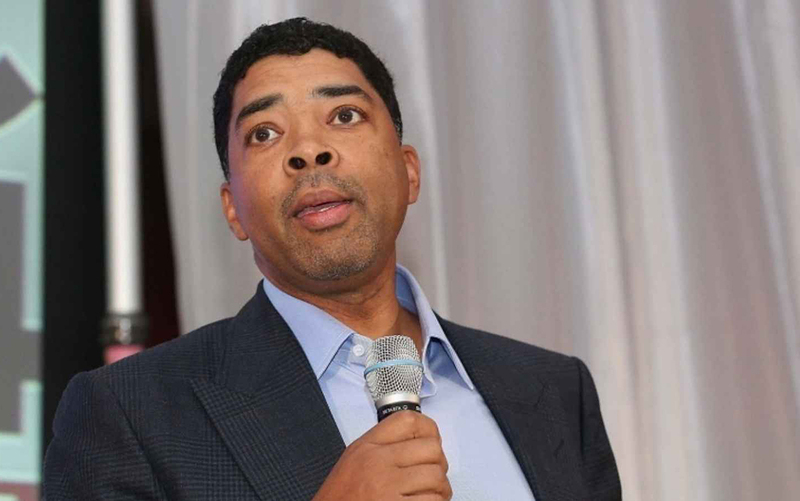 Prior to his position with REVOLT TV, Clinkscales also managed ESPN magazine, created and supervised ESPN series, including the award-winning 30 for 30 documentaries and the Peabody award-winning documentaries Black Magic and Kobe Doin’ Work. It goes without saying that Clinkscales is well qualified, but the proof lies in the numbers. Under Clinkscale’s tutelage, REVOLT TV has amassed over 50 million young adult viewers through television, digital properties, social and mobile initiatives in just six months.? On Twitter, tweets about REVOLT TV are seen by twice as many people as tweets about other music channels such as Fuse, VH1 and MTV; and three times as many people view tweets about the channel as those who view tweets about E! network. “REVOLT differs from other music channels because there are no reality shows on our air. We have the reality of the music. The reality of the music is greater than being able to do those things”, Clinkscales affirms. REVOLT TV is available on Time Warner Cable, Comcast and Century Link in more than 40 of the top 50 U.S. markets, including New York City, Los Angeles, Chicago, Miami, Boston, Atlanta and Washington, D.C. And although the channel’s motto is ‘The revolution will be televised,’ REVOLT TV is striving to be available on more than one billion devices, including televisions, computers and mobile devices, within the next five years. At the channel’s first Upfront presentation in April of this year, Combs jokingly re-named the event the “Omni-front” as a nod to the network’s multi-platform ambitions. Combs touted that REVOLT TV is the first brand to be launched in the age of social media in hopes of courting future advertisers who are interested in aligning themselves with the buying power of millennials. “The REVOLT consumer tends to be a younger person who is an influencer and who is extremely passionate and opinionated about music and what music should and should not be, unabashedly so,” Clinkscales says. During the Upfront, Combs spoke candidly about how he wants REVOLT TV to be a two-way street where advertisers will have authenticity and artists will have a platform, ultimately benefiting REVOLT’s consumers. Combs put his star power to the test by appearing in a national Fiat car commercial in 2014 that aligned Fiat Group with the REVOLT brand. As a result, Fiat received its highest monthly sales in the company’s history during the first month the spot aired on television. REVOLT TV also recently partnered with Hewlett Packard for its HP Split X2 campaign. Combs, Clinkscales and other key members of REVOLT’s executive team also spoke about their Road to Truth Tour, where they embarked on a cross-country tour to meet with focus groups and debunk the myths about what millennials want from marketers and how they expect to be engaged. The result of the Road to Truth Tour was the development of REVOLT’s “7 Steps To Millennial Engagement” plan, which will use the Truth Tour’s findings to create new opportunities for brands and clients that include offers for real-time marketing and synced experiences. The network is also committed to lending its brand to community outreach by aiding charities and social imperatives of the artists it supports. “REVOLT TV is actively working with some of its affiliate partners, Time Warner and Comcast to do outreach through the communities in which it broadcasts. As REVOLT TV looks toward its first anniversary, Clinkscales explains that the network will continue to focus on distribution and striking the necessary balance between how the channel spends its resources on content and what appears on the air. Throughout the next year, REVOLT TV will continue to build upon its daily flagship show, Revolt Live, which focuses on music and pop culture news. After announcing a partnership with Clear Channel/Power 105, REVOLT TV will now be airing episodes of The Breakfast Club, a New York-based hip-hop and R&B radio show. The network will also continue to build and develop all of the brand’s digital platforms, including their website and mobile site, to ensure that the channel remains the number-one name in music.